Now on to the weekend steals and deals! I ordered this dress awhile back, but the XS was too tight across the back and I couldn’t move my arms very well. I sent it back in exchange for the Small and it fits perfectly! The skirt is lined and the top is stitched close so you don’t have to worry about it gaping. I’m wearing it with these shoes. 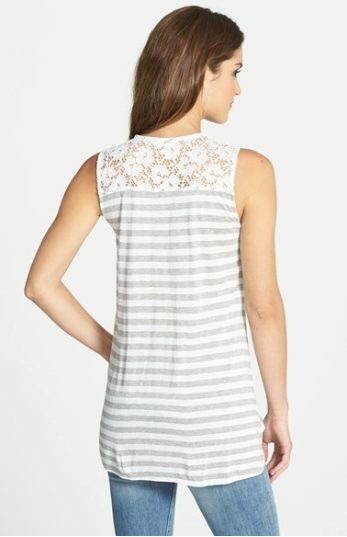 Grey and white stripes + lace = yes! It’s the sweater version of my sleeveless top! Gotta love it when a MK top like this goes on sale. I could see myself wearing this to work all the time. Or this. Day to night dress! And I like it with the stockings or bare legs too. Can’t beat the price on this Fall must-have item. Bad hair days be gone! 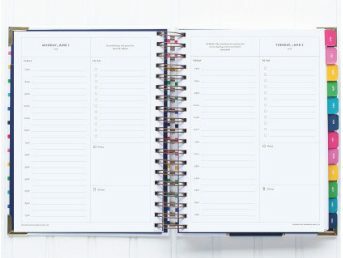 And even though it’s not a wardrobe item, I did fall in love with a new planner that just released this week from Waiting on Martha and placed my order! I admit I have a calendar addiction. 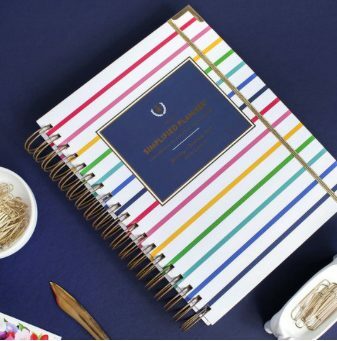 I got the Navy Dot one, but it also comes in Rainbow Stripes– tough decision. ANN TAYLOR: So Long Summer Sale, 30% off Full-Price Suits and Perfect Shirts. No code needed. FREE shipping on $175 or more & $8.95 flat rate shipping. 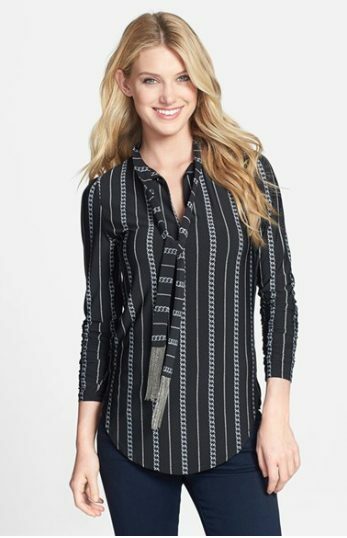 ANN TAYLOR LOFT: Extra 60% off all Styles- ends Friday 10am. No code needed. BANANA REPUBLIC: 40% off full-priced pants and sweaters. Use code BRSTOCKUP FREE shipping and FREE returns on orders over $50. Ends 9/4. DSW: $10 off Anything; $20 off $99; $40 off $199. Use code SHOPFALL Double points on every purchase from 8/29-9/30. GAP: Up to 40% off Baby & Kids. Ends 9/9. FREE shipping and FREE returns on orders over $50. 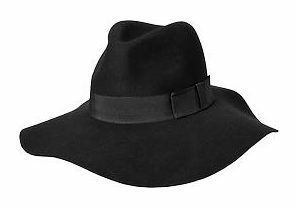 NORDSTROM: Clearance Sale- Save Up To 40%. Ends 9/7. Always FREE shipping & FREE returns. OLD NAVY: 20% off your purchase. Use code SAVE. Ends 9/8. 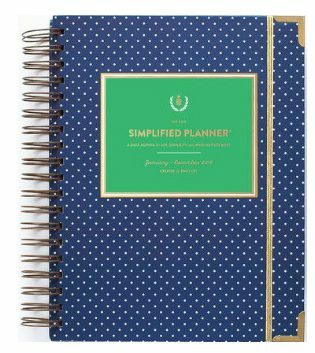 LOVE the Simplified Planner – You will too!! And thanks for adding a few items to my shopping carts!! 🙂 Cute picks!! You look adorable and sassy in that dress! Love that floral dress! I've actually been considering it for awhile, and I think you sold me! I've got my eye on that planner, too. Love the navy dots! I love that dress on you! Now I need that striped top. It looks perfect to me. 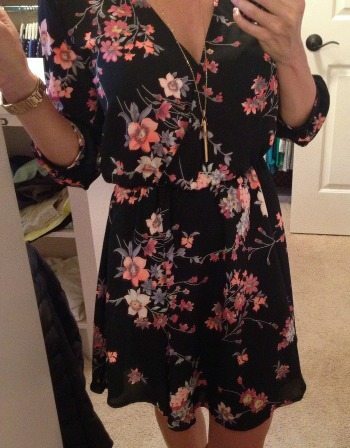 Black floral dress is amazing and planner I must to confess that I had instant love for it!! !